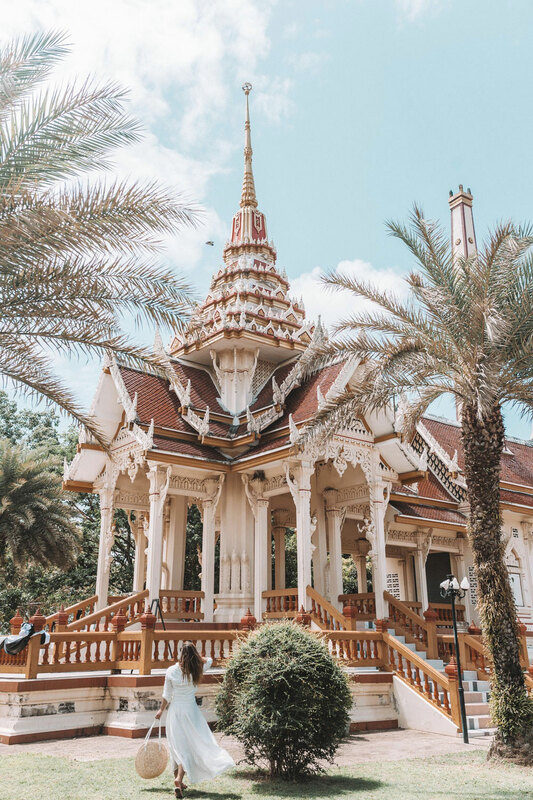 I am sooooo excited to finally be getting up my travel vlog and snaps from my unreal adventure in Thailand with Contiki because I honestly miss it so much and it’s like I’m reliving it all! Alicia and I were chatting on the phone the other day about trying to coordinate our live dates and we got to reminiscing and laughing our heads off about all our ridiculous memories from this week. Before I dive into our actual itinerary and we got to experience along the way, here’s my video below that will give you a total sense of what the trip was like for us and then I want to touch base on all my main takeaways from travelling with Contiki, which was a really different travel experience compared to what I usually do in the most exciting and fresh way possible! First of all, as I mentioned in yesterday’s post I seriously love travelling alone or with my loved ones, so to be entirely honest, I wasn’t sure what to expect as far as travelling with a group of strangers. 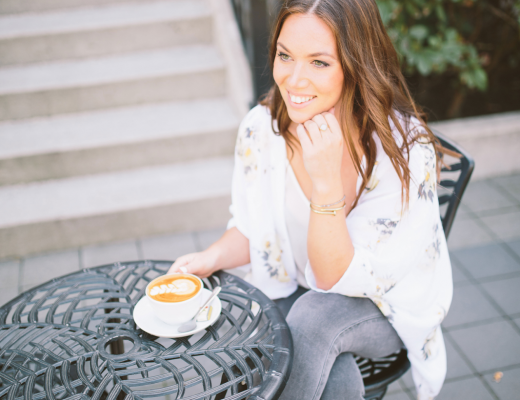 I’m outgoing by nature and love getting to know people, but still—what if we didn’t like them? What if they didn’t like us? I was hopeful we’d make a few friends but what I didn’t expect was making such amazing friends, so great that not only am I visiting some of them in New York next month, but two of our girlfriends are visiting us in September! You forge such amazing bonds when you’re travelling, but this was at a different level. I feel so grateful for all the incredible new friends I made while we were on the road, but three in particular are seriously in the fold (Kanan, Jen and Sean, or Seana Paula as we like to call him). I feel like the older you get, the harder it gets to make new friends outside of your industry, circle of friends, etc—Contiki is basically set up so that you make these amazing memories with a new group forming lifelong friendships sometimes and at the very least, incredible friends for the trip! Travelling with one of my close friends too and getting to adventure around with other friends made for such a different and fun experience too. I feel like we got out so much more than we would’ve if we were travelling through just the two of us and it made for way more hilarious stories and memories. 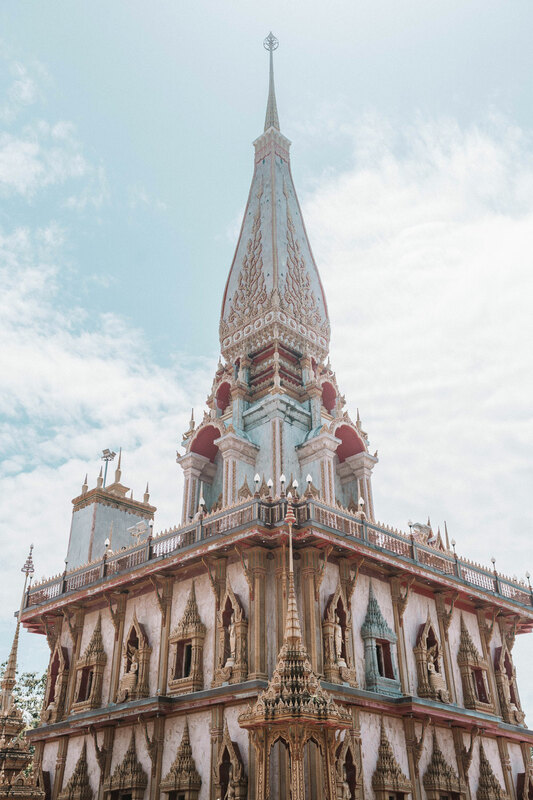 We also have never been to Thailand or Asia period, so having a tour that brought you through a big part of Thailand in a really comprehensive, fun and engaged way was an awesome way to intro us to that part of the world. As someone who travels for a living, as much as I like planning out my trips it can be really mentally exhausting and I often find I need a little rest time when I get home from my travels, not only from the physical wear of travel but from just having everything be such a flurry of planning, coordinating, shooting, etc. While we were out most nights living it up with our amazing group, it was strangely really rejuvenating because Contiki takes care of all the planning. 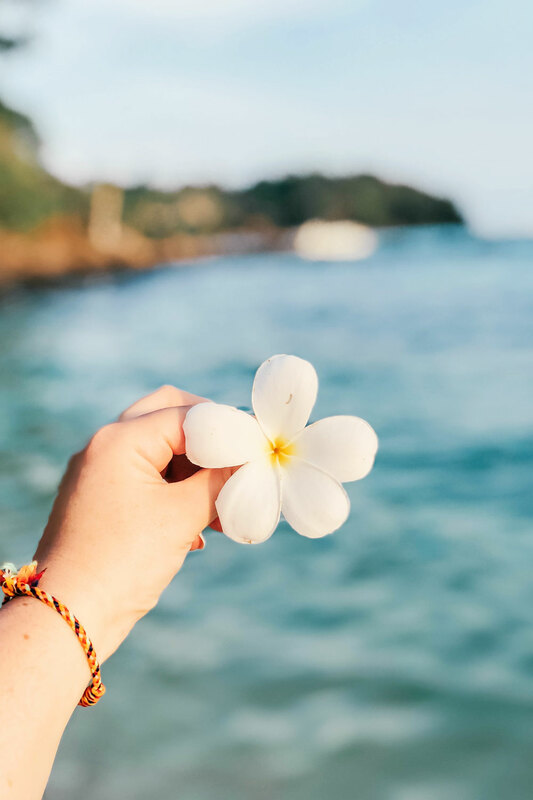 If you want to opt into any of their add-on activities (like boat tours, cooking classes, etc) you totally can and they set up amazing experiences. But you can just as easily take it easy at the hotel, at the beach, exploring a new part of town, etc. And even for our free time, the Trip Manager (shout out to Matt and Nut, our two amazing ones!) will give you heaps of advice and tips on where to eat, what to see, what to do, etc. It was seriously refreshing to just show up, kick back and have a blast. Now, our tour! 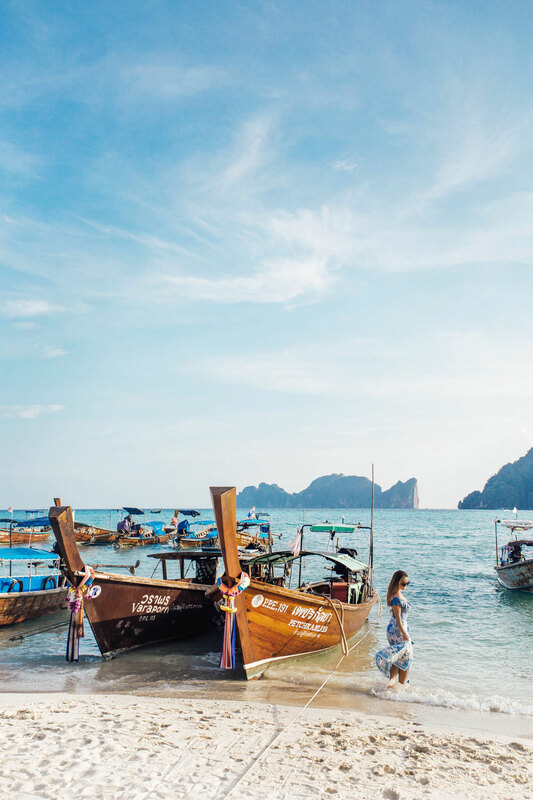 We were on the Thai Island Hopper West tour so we kicked things off in Phuket. We took it easy our first day there and just kind of absorbed the culture. The bazillion 7-11’s, the traffic, the heat, the food, the beaches—it was an awesome chill first day, and then we got to have our kick-off meeting in the evening where we met everyone and had a dinner together. The next day was officially the start of our trip, with an add-on activity going down that day! 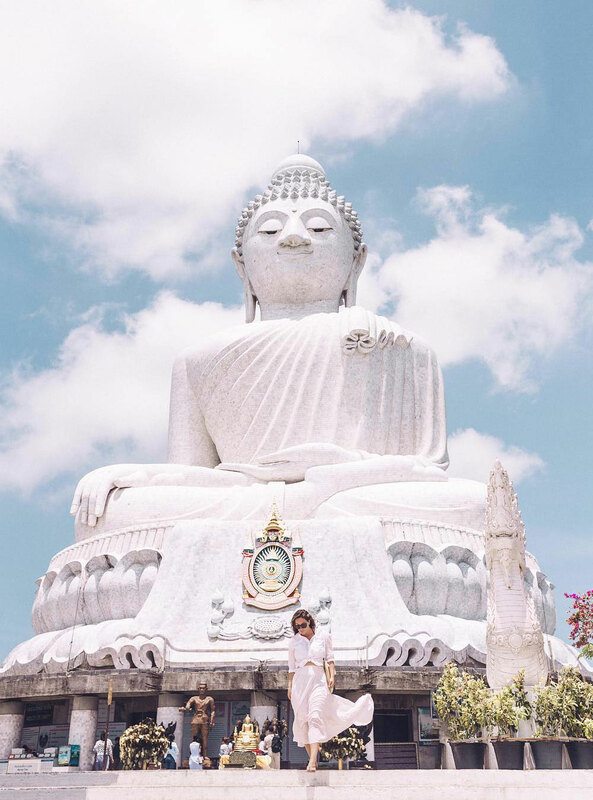 It was off to Chaithararam Temple which was beyond beautiful—gold Buddhas depicting his life and path, and beautiful temples all around. It was also on this ride to the temple that Alicia and I forced our friendship on Sean who had the misfortune of sitting next to us, and after that we merged groups with him and his friends Kanan and Jen, two of the sweetest girls in the whole world. 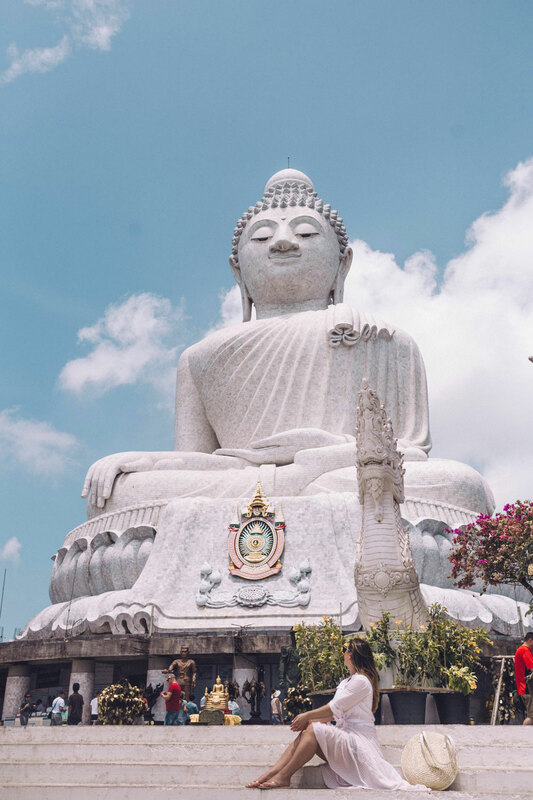 We got to experience Big Buddha which to put it simply was a once in a lifetime kind of experience. I’ve actually developed a serious interest in Buddhism since leaving Thailand and it’s so amazing reading about the history of Buddha now. Even there without knowing as much about Buddhism, you got a sense of something bigger (and not just the physical mass of individual tiles that composed this massive Buddha).There was a sense of peace and compassion when you looked up at Buddha with his enigmatic, small smile, the clouds whipping by above his head. It was an unreal moment, one followed by an equally amazing one getting blessed by the monks there! We then carried on to Karon Beach and soaked in some time with our new pals (I’m harassing them via WhatsApp right now, miss them!). 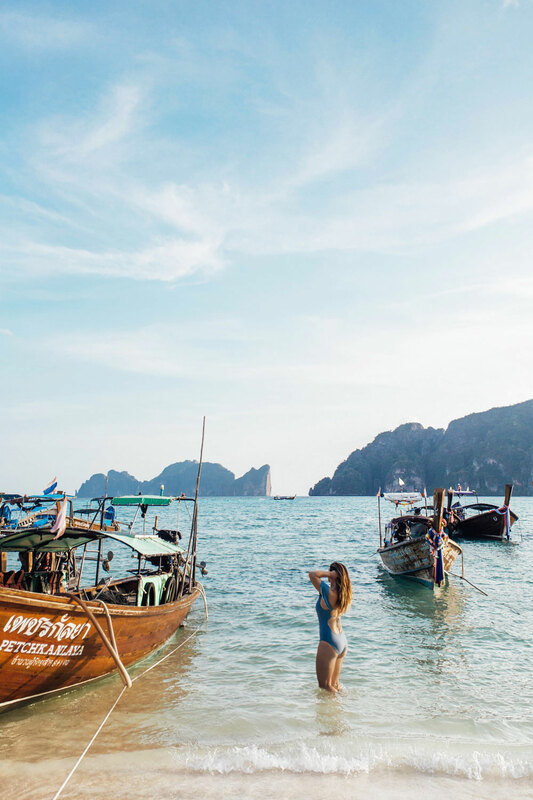 We took off to Koh Phi Phi which to put it in one word is paradise. 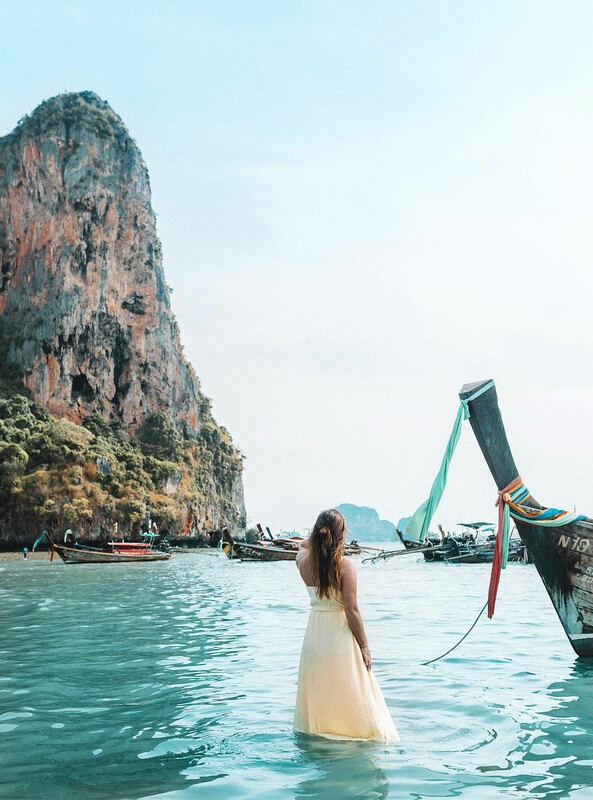 All those images you have floating around your brain of Thailand (you know, the rocking long tail boats, vivid magenta flowers, turquoise waters)—you can find that all there and more. Phuket is amazing but you kind of have to accept it for what it is—it’s far more urban and chaotic. 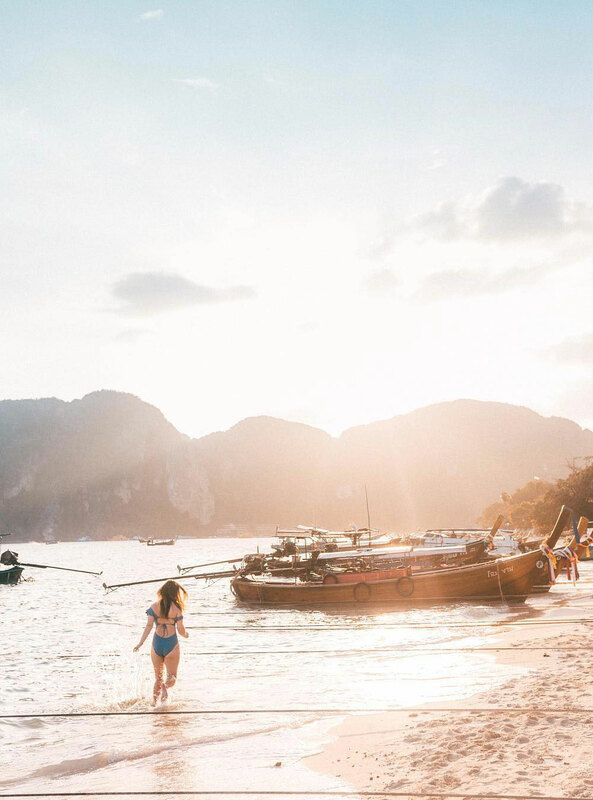 Koh Phi Phi is an amazing place to retreat to afterwards for some calm by the beach, though the party is definitely there too (as it always is in Thailand!). 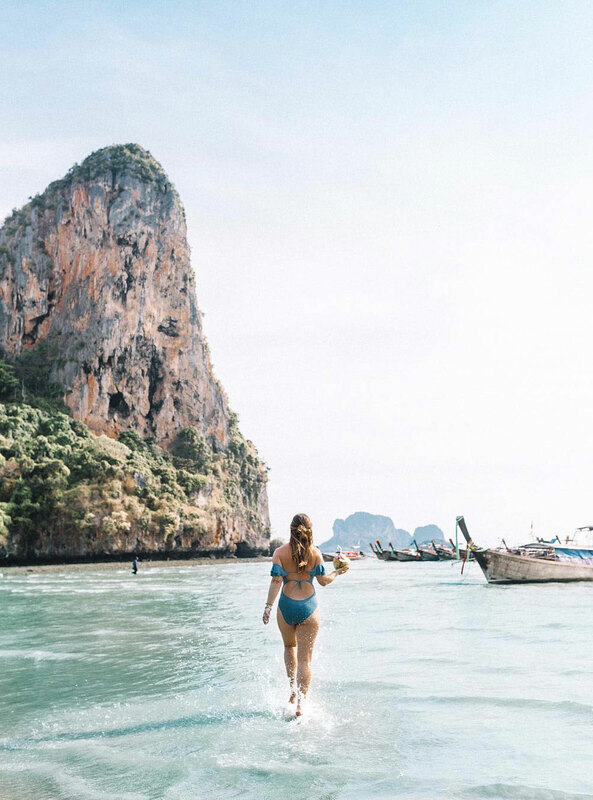 We had the most epic daylong boat cruise all day which was basically a big huge party (one I drank water exclusively for, oddly), and we got to see Monkey Beach, Maya Bay and my favourite part of all…swimming! There are very few things I love more than jumping off a boat into the ocean, and it’s made even more amazing when the water is crystal clear and the most beautiful changing kaleidoscope of turquoise and aqua. It was also in Koh Phi Phi that we got the kickoff to Songkran, the Thailand New Year. If you think we party for our NYE, this days-long party will have you quickly seeing how ours pales in comparison. It’s effectively a huge water party with each man out for himself—expect to be dumped on by the cutest little kids, shot at in the face with a water gun as a trucks needs by, etc. Just keep your mouth shut so you don’t drink it in! What an experience to be there for though, and such an amazing part of their culture. I loved seeing how every generation got into it, and how much fun they were all having. 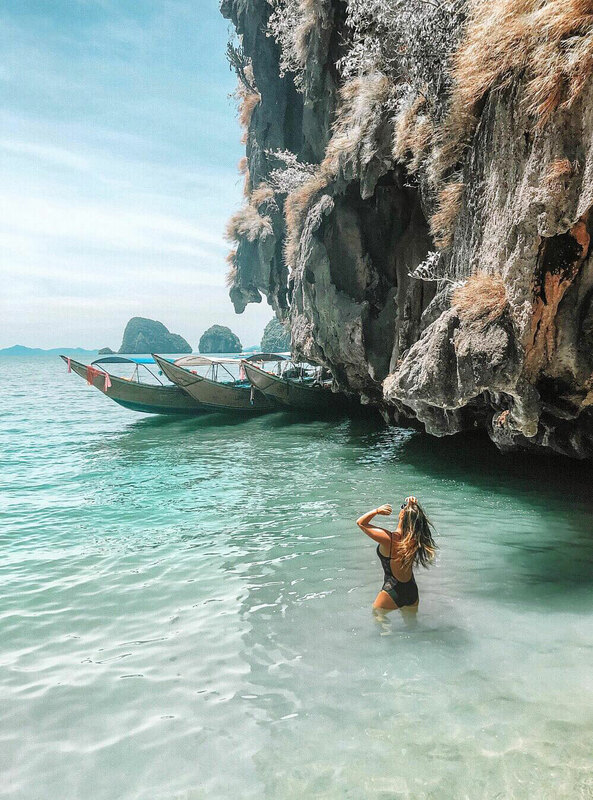 We then took off to Krabi, where we got to see the famous Bond Island of Khao Phing Kan and Hong Island on a boat tour of Phang Nga Bay, along with getting to visit the famous Koh Panyi, aka a floating village complete with a school, soccer field and more! We also took a boat trip off to Railay Beach to round out our boat trips but honestly, in Krabi we all had such a fun time just taking some chill time at our infinity pool at the hotel and all hung out together, going out at night to take in the nightlife (which of course included seeing lady boys, i.e. the time I fan girled super hard). A bus ride back to Phuket to fly out and this solidly packed trip somehow came to a close before we were ready to say bye! Alicia and I both spontaneously turned to each other as we flew off to Hong Kong and had these wistful smiles on our faces. We both just felt like our hearts were so full! It was honestly such an incredible experience. I love travelling on my own and mapping out my own itineraries but if you’re either considering travelling alone and want company, going with a friend or two and want to make some new friends along the way, going somewhere that’s out of your comfort zone or that you haven’t been to or are just dying to see what the Contiki hype is all about, I can not recommend it enough! Both Alicia and I chatted about doing India, which I think would be amazing! And we both were saying we’d totally try to get the New York gang to come along too—that’s what’s exciting, seeing new places with new friends! 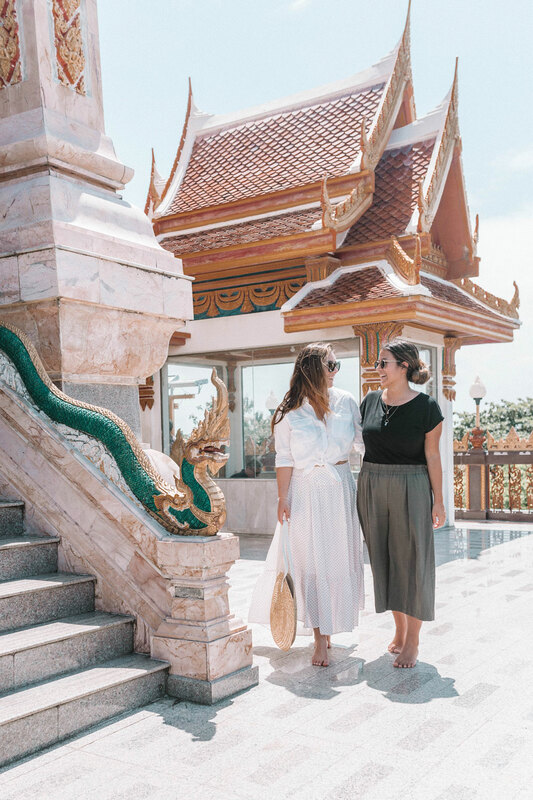 Learn more about the Contiki Thai Island Hopper West tour here and learn more about their other trips here! 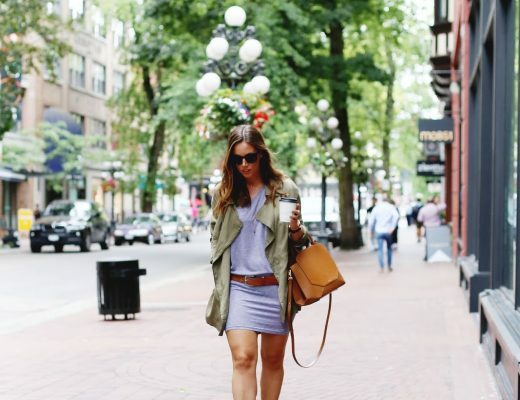 Curious—have you ever done a Contiki trip or considered doing one? Tell me in the comments below!